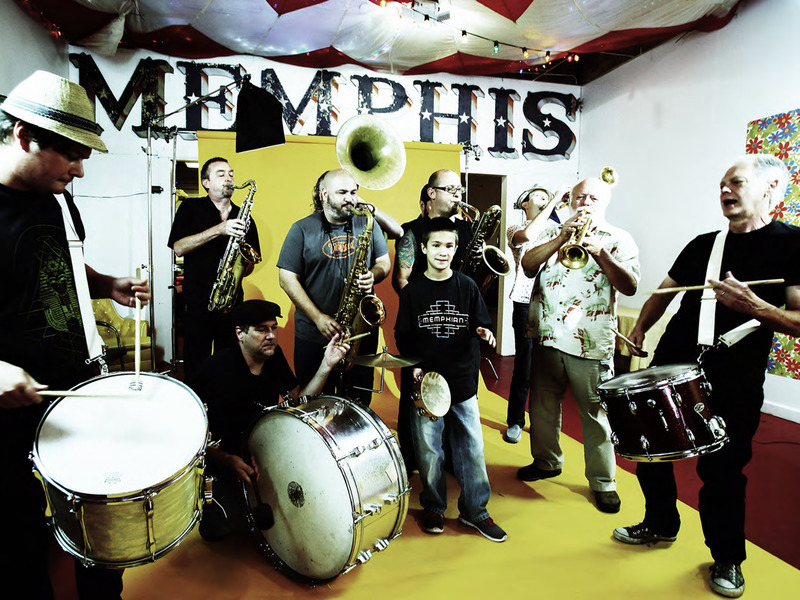 The Mighty Souls Brass Band is a traditional brass band, bridging the gap between New Orleans funk and Memphis soul. Their joyous sound will have you dancing in the street and joining the parade. The Mighty Souls Brass Band was chosen as Third Best Band in Memphis Flyer’s Best of Poll again this year. That’s two years in a row!!! Founded by Sean Murphy (sousaphone), Jim Spake (saxes), Jeremy Shrader (trumpet, vocals), Earl Lowe (drums), and Victor Sawyer (trombone), the key to the quality of the Mighty Souls Brass Band is constant evolution. By adding the the top musicians in the Memphis scene — Art Edmaiston, Tom Lonardo, Tom Link, EJ Dyce, Gary Topper, Jason Yasinsky, Paul Taylor, Jason Northcutt, Ben Strickland, to name just a few — this band can tailor its sound and membership to your event's needs and budget. They can perform with six pieces or 16, depending on what's right for you. So get your beads and white handkerchiefs ready, because the saints will be marching in when the Mighty Souls Brass Band blows!